Thinking about a reverse mortgage for your future? Will it save you money? We’re tackling the reverse mortgage FAQ you need to know in this post. Reverse mortgages are causing quite a stir. It makes sense that reverse mortgage qualifications are, too. Some say they are the perfect way for any retiree to earn more income. Others argue they are a bad financial instrument. The truth is that with the right guidance, a reverse mortgage can provide financial help to retired workers. It means extra income in your pocket to ease financial payments you might have. If done right, it can make a world of difference. Any questions? Here’s the rundown of the most common FAQ’s. 1. Will I Save Money? You will save money now with a reverse mortgage–that’s the whole point! A reverse mortgage works exactly like it sounds–like a mortgage done backward. Once retired, homeowners retain value on their properties. A lender–usually a bank–is willing to make an agreement where they give you set payments that correspond to the value of your home. Then, when you sell the home or it is passed along within a family, the proceeds from the sale of the home will go to the lender. That’s the concept in a nutshell–of course, it’s more complicated, and you need assistance to help understand reverse mortgages better. But, overall, through a reverse mortgage, you will receive monthly payments that can cover other costs in your life. So, your monthly payments will make you save money in the sense that you’ll have more of it now. 2. 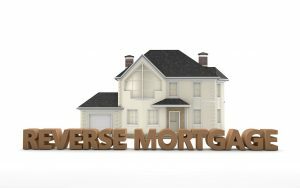 What Are the Reverse Mortgage Qualifications? The reverse mortgage qualifications are designed to target retirees looking to make a little extra income. The qualifications for starting a reverse mortgage are clear-cut. A reverse mortgage recipient must be 62 years old or older. The recipient must own the home involved in the reverse mortgage. The mortgage for that home should be complete or nearly finished. In general, a recipient needs to prove they are financially responsible. That usually means no lingering debt and an ability to continue paying other costs associated with the home. The application for starting a reverse mortgage is also a specific process. No matter your situation, you are required to speak with a counselor from the Home Equity Conversion Mortgage (HECM) at an information session. Depending on the state you are in, you need to consult a list of approved reverse mortgage lenders. In Florida, for instance, many of the lenders are banks. However, a bank isn’t always the best lender option for financing your reverse mortgage. A qualified company can go into further detail about the application process. 4. How Much Does a Reverse Mortgage Cost? Good question. Of course, over time the reverse mortgage will put extra income in your pockets. There are some costs associated with the reverse mortgage qualifications you should know about before putting in your application. When you meet with a representative from the Home Equity Conversion Mortgage, you will need to put down a fee of $125. Another common fee you will have to pay out of pocket is the appraisal fee. The appraisal fee usually costs around $400 and is required as part of the reverse mortgage qualifications. There are a series of additional fees you will have to pay out of pocket, depending on your situation. However, these fees could very well be paid back with your reverse mortgage payments. The fees you pay will change in every case. To learn about the fees in you specific case, it’s important to get in contact with a company of experts. 5. Will My Loan Be Taxed? No! Fortunately, the reverse mortgage loan system does not impose a tax on payments distributed to you. In certain cases, tax on these payments is possible but not probable. An important tax twist is that it is possible for your money to be taxed with the reverse mortgage setup. Under certain reverse mortgage qualifications, it is possible for any profit you eventually make on your home to be taxed. Let’s say you reverse mortgage your home and receive a set amount of income over 15 years. After 15 years, you decide to move. So, you sell the house and your income from the sale is more than the bank has paid you over the years. That profit is technically increased income. So, if you earn a profit on the sale of your house, you might get taxed. Ultimately, a solid team of professionals will show you how a reverse mortgage will affect your taxes. Exactly how much money recipients make can also vary. 6. Is There a Limit on How Much I Can Borrow? The amount of money you receive on your home equity can depend on many factors. Factors regarding reverse mortgage qualifications include the size of the home, number of family members, and the financial value of the home. Usually, though, the maximum amount of money you can receive from your home is $625,500. That’s a good thing, too. Of course, anyone wants to get as much money on their home as possible. In times when there weren’t limits, fraudulent companies exploited their clients by promising huge loans but delivering little. Getting scams out of the industry is a good thing overall for potential recipients like you because it makes starting a reverse mortgage safer. 6. Could My Benefits Change? Yes, your benefits could change based on your reverse mortgage. That’s only because your overall income will be higher. Just like if you started a new job, receiving a reverse mortgage will change your economic status. Many benefits will not be touched by the reverse mortgage. These intact benefits include medicare, pension benefits, and social security payments. Medicaid, according to the Department of Housing and Urban Development, can potentially change because there is an upper limit on income for recipients. 7. Will I Still Own My Home? Yes, you will still own your home. Losing ownership of your home is not a part of the reverse mortgage qualifications. Your lender, however, will retain more control over what happens to your home in the long run. Ultimately, the sale of your home will be used to pay back the lender. This subtle loss in control can affect your home and make it more vulnerable to seizure. Foreclosure is something that can happen in a reverse mortgage situation if you are not up to date on all your other payments. At the end of the day, if you make all your payments on time, you will not lose control of your house while you are alive. 8. So, Will My Kids Pay off the Debt? Maybe. It’s possible that your heirs will pay off your reverse mortgage, but they might not. If you pass away after starting a reverse mortgage, responsibility will fall into the heir you have chosen. They can sell the home to pay back your lender, and maybe keep some profit for themselves. Or, they can choose to refinance the reverse mortgage and keep the home in the family. That means that while the responsibility of the reverse mortgage will fall into the lap of your heirs, you are setting them up to manage it easily. Ultimately, with good choices, you and you family debt will be manageable, and nobody will be trapped in sticky situations. 9. How Important is it to Stay Up to Date on My Finances? It’s vitally important for you to keep your finances in order. Recently, news reports about elderly homeowners facing foreclosure hit different news outlets around the country. Those homeowners had reverse mortgages, and that seemed to be related to their foreclosure. The reaction of some was heated: The Huffington Post argued that reverse mortgages are a scam. The truth is that reverse mortgages require attention. With the right attention to detail, reverse mortgages are excellent investments for many people. When dealing with a straightforward and honest company, you can avoid situations like this. A reverse mortgage should be a clear process that makes sense to you, not one that leaves traps for you to fall into. 10. Are there Restrictions on the Use of My Money? No. The reverse mortgage system is designed to give homeowners extra income, and it comes with no strings attached. That means nobody is checking in with you to see how you spend your money. However, if you are trying to better understand reverse mortgage qualifications, you probably know your way around finances a bit. That means you probably aren’t looking to waste money. So, while there are no strings attached, people who match reverse mortgage qualifications are usually people who use their money wisely. Can I Only Ask Ten Questions? Reverse mortgages are complicated for everybody, and you should ask as many questions as you need to. Qualified experts on the issue can walk you through the ins and outs of reverse mortgage qualifications, the entire process and what you should expect. Do you match reverse mortgage qualifications?